Dedicated legal team. A wide range of skill sets. Satisfied clients. Repeat custom.... We're a thriving Lewisham Solicitors practice that's built it's reputation on customer care. At the same time we're keenly aware that clients only return to us based on their most recent experience. So we make it a point not to sit on our laurels and we're constantly looking for ways to improve the service we provide. We back our service with the Mandy Peters "Charter" which defines our customer service goals and establishes the manner in which our legal team act. The corner stones of our approach are our Courtesy, Commitment, Knowledge, Professional Premises, Confidentiality and our Legal Standards. Courtesy represents a mindset. Treat others as you wish to be treated yourself. Commitment equals satisfied clients and repeat business. 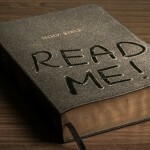 Knowledge reflects the quality of our staff and ongoing training regime. Our Lewisham Premises reflect our mindset. Clean, tidy and presentable. Confidentiality allows you the peace of mind to know that we're working together. Our standards of legal care are second to none. In general terms the legal market is changing and law firms need to adopt a more customer orientated approach. We recognise that. If you'd like to have an initial chat please either call our Lewisham Solicitors on 020 8297 4414, email via enquiries@mandypeterssolicitors.co.uk or complete the Enquiry form on the right. Lee, Lewisham & London law firm dealing with Property Conveyancing, Immigration, Divorce, Debt matters and Wills & Probate. Free initial consultation. Experienced team. Friendly staff. All you need from a solicitors practice ! The Home Office have been attacked by the Bishop of Durham for rejecting an asylum claim on the basis that they suggested Christianity is "not a peaceful religion". This comment you might imagine is somewhat controversial. 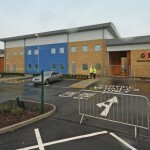 G4S is facing prosecution for allegedly failing to implement a smoking ban at an immigration removal centre. A court summons, ordering G4S to appear at Crawley magistrates court next month, has been issued by Crawley council in this highly unusual prosecution. 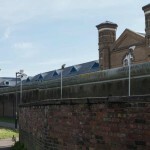 A former 71 year old prisoner of Wormwood Scrubs who was serving a short sentence after being convicted of a benefits offence, developed post-traumatic stress disorder (PTSD) from rats running across his body and bed while he was locked in his cell. Our #London Probate solicitors can help you with the legal work involved if you want to register the death of a loved one. If you need to get a divorce after the breakdown of your marriage, speak to our family team on 020 8297 4414 for specialist legal advice.